It sounds like the setup to a joke: a priest, a vacuum salesman, and a singer walk into a motel. But what happens over the next two hours is no joke — it’s a helluva story, thanks to writer/director/producer Drew Goddard. Unfortunately, there’s not much I can tell you about the plot of the movie without spoiling it, so let me tread lightly. In addition to the three characters I mentioned, there’s a front desk clerk, a mystery woman in a fringe jacket, a cult leader, and a kidnapped girl. On a rainy night in 1969, they all end up at this rundown motel, the El Royale, which straddles the California/Nevada border in Lake Tahoe (with a red line painted through the parking lot and into the lobby to separate the states legally), and to call what happens over the course of one night there “bad times” is a major understatement. Goddard — who wrote the screenplay for “The Martian,” as well as several episodes of “Lost,” “Alias,” and his series “Daredevil” — has a Tarantino-like style, but it’s not a ripoff, and he’s not as obsessed with spurting blood, though there are some violent scenes. Goddard tells the story from the perspective of each of the major characters, complete with flashbacks to fill us in on how they got to the El Royale on this night (the last of which seems unnecessary at that point in the story, when we’re ready for the big finale). He also plays with time so some sequences overlap. He uses a great soundtrack (best since “Baby Driver”) of R&B, rock, and soul classics to both supplement and punctuate scenes. The set design is beautiful, and the pacing is near-perfect — although it gets a little sluggish in the final act, which drags on about 15 minutes too long. I was drawn into “Bad Times At The El Royale” from its very first sequence, which consists of a locked-down camera observing a man check into a motel room, then methodically pull it apart to bury a satchel underneath the floorboards. The deliberateness of the process reminds me of many scenes in “Better Call Saul,” in which we watch a character (Mike, Jimmy, Nacho) intently focused as they complete a single task.  It works very well on the TV show and this movie. Did I forget to mention the cast? It’s quite an ensemble, with Jon Hamm, Dakota Johnson, Chris Hemsworth, Nick Offerman, and Jeff Bridges (who Goddard manages to get to quit mumbling!). The newcomers include Cynthia Erivo in a remarkable big screen debut performance as the singer, Lewis Pullman as the clerk with secrets, and Cailee Spaeny as the kidnap victim (or is she?). 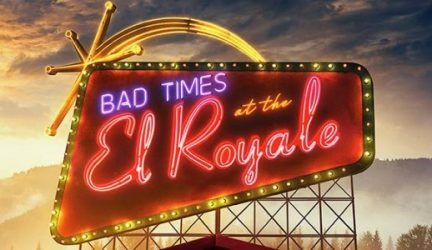 I give “Bad Times At The El Royale” a 9 out of 10, which means it’ll be way up there on my Best Movies Of 2018 list. I have a feeling it won’t pull big numbers at the box office initially, but will find an audience in years to come as a cult favorite on Netflix and cable. Caveat: if you’re thinking about seeing “Bad Times At The El Royale,” do yourself a favor and avoid trailers and commercials for it, which give away crucial plot points you do not want ruined beforehand.